Lots of people believe in God, but they do not believe God. There is a BIG difference. Believing God means you take Him at His word, regardless of the circumstances…or the delays…or what your feelings tell you is true. 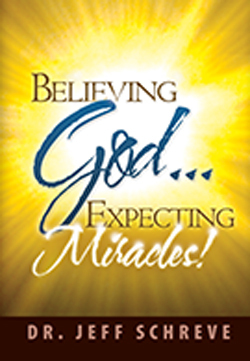 In this miracle working 6-MESSAGE series, you’ll discover that when you really start to believe God, then you need to get ready for miracles. Jesus said, "Be it done to you according to your faith."